Samsung Galaxy A80: Samsung is coming with another latest Android smartphone the “Galaxy A80”. 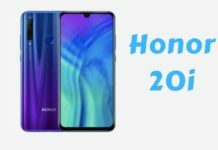 If you are looking latest upcoming smartphone 2019 price then you are in right place. The phone have build fingerprint sensor (under display) and face unlock features for the primary security. The phone comes with three colors option Ghost White and Phantom Black and Angle Gold. Samsung Galaxy A80 Display comes with 6.7 inches Super AMOLED capacitive touchscreen display having resolution of 1080×2400 Pixels. The Samsung Galaxy A80 Camera comes with triple 48 MP + 8 MP + TOF 3D primary camera and triple Motorized pop-up rotating selfie camera setup. The smartphone memory comes with 128 GB of internal storage with 8 GB of RAM. Internal storage can not be expandable. The phone powered by Qualcomm Snapdragon SDM730 Chipset with octa-core 2.2 GHz Kryo 460 CPU and Adreno 618 GPU. The Samsung Galaxy A80 Battery comes with non-removable Li-Po 3700 mAh and fast charging support. Samsung Galaxy A80 price in India is Rs. (52,847). 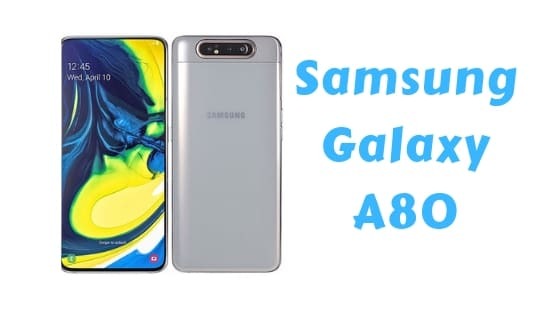 If you like this post about Samsung Galaxy A80 Full Specification, Price, Pros & Cons and Features, Please share this post on social media with your friends. Thanks to All! Samsung is coming with latest Android smartphone the Samsung Galaxy A80. The smartphone comes with triple primary camera with triple motorized pop-up rotating front camera. The smartphone comes with 128 GB of internal storage with 8 GB of RAM. Price of the phone is 52,847.